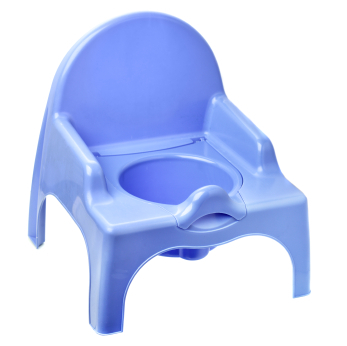 I’m a preschool public health nurse and have access to every bit of information, resources, tips, best practices and advice on “toilet learning” that anyone could ever want. [“Toilet learning” is the new way of saying “toilet training” because developmentally, it is the child doing the “learning” rather than the parent doing the “training”]. I facilitate workshops about it (and many other parenting topics). I write about it. I talk about it with parents of toddlers and preschoolers every day; sharing the encyclopedia of knowledge on the topic that I have constantly sitting (more like festering) at the front of my brain. So…why? WHY? Why won’t my three-and-a-half year old do his business in the bathroom as his sister did when she was two? (And my nephew when he was 18 months and my hairdresser’s sister-in-law’s neighbour’s son who was “fully trained before he had teeth”!!). How can he possibly tolerate the feeling (not to mention, the aroma) of soiled pants? The “experts” (myself included) say, “Put underwear on him – he’ll hate the feel of the soiled underpants and will want to learn to use the toilet”. Really? Not at my house. Not my boy. He’s unique! To be fair, I know that he’s not emotionally ready. He shows no interest in it; gets irate at the mention of it. He says, “That’s not berry nice” when I point out how well his sister does it. I, however, am “emotionally ready” for well-intentioned people to stop asking me, “Is he trained YET?” and financially ready to stop buying large, expensive diapers! I guess I’m purging my soul here to let other parents know that successful toilet learning has nothing to do with who you are, how old your child is, how tall he is (yes – someone actually told me he’s struggling with it because he’s tall for his age…huh???) or what you know (or think you know) about making it happen. It’s about knowing your kid…and accepting him for who he is and supporting him as he does his thing in his time (and cutting yourself a big, fat break along the way). Paula D’Orazio is a public health nurse who has worked in a variety of nursing settings in occupational, community and public health over the past 15 years. She currently works with the preschool health program and is an accredited Triple P, Nobody’s Perfect and Beyond the Basics facilitator. A busy, working mom, Paula relishes her “live, love and laugh” time with her young family. This entry was posted in Parenting, Parenting Your Toddler & Preschooler, Play, Growth & Development, Preparing for Kindergarten, Toddlers & Preschoolers, Toddlers & Preschoolers with Special Needs and tagged baby, child, child development, children, development, emotional health, emotional readiness, families, potty training, toilet learning, toilet training. Bookmark the permalink. I am so glad I read this today! I am just entering this stage with my twins (boy and girl) and can already feel myself getting anxious about who’s doing what when and making sure I’m doing “all the right things”. This has been a much needed reality check for me and a reminder that I need to CHILL OUT and just let it happen the way it will happen. I can already see that my kids are going to experience this differently, and being reminded that this is okay couldn’t have come at a better time. Thanks for sharing Paula! Oh yeah, I can totally relate to this! A few weeks ago, we had “potty day” and my daughter was doing really well, but after that one day…she has no interest. All of the other signs are there, but until she wants to use the toilet, I guess we’ll just sit tight. It’s frustrating though, when well-meaning relatives question why it’s taking so long to train her — as if it’s my fault.